Yes, indeed. The older, or shall I say, more experienced of my readers will fondly remember Hoss Cartwright, of Bonanza fame. A German blogger, Fefe, pointed me in the direction of an article in the Laborjournal blog from March 2015 that I completely missed. Burkhard Morgenstern is a professor for Bioinformatics in Göttingen, Germany. He apparently got fed up with all the spam solicitations for articles for the many junk journals, that he decided to get back at them. 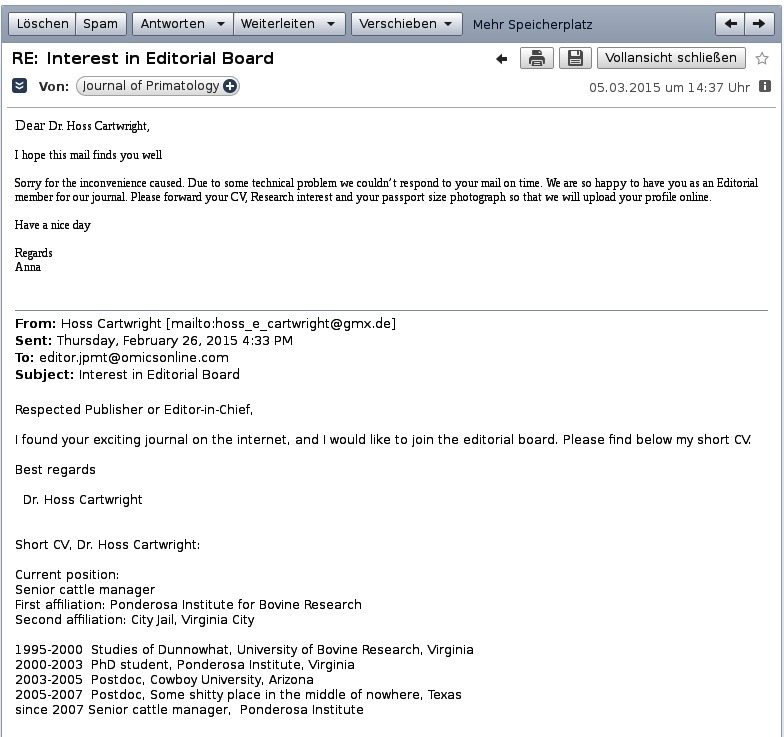 He spammed 20-30 journals (some even in open CC) with a short letter from Dr. Hoss Cartwright, requesting to join the editorial board of "your exciting journal". They even put his CV on the page, apparently without reading it. Morgenstern documented it with a screenshot. The CV has since been removed from the page, although the Internet Archive still has a link to a snapshot of the listing with Hoss on the board. 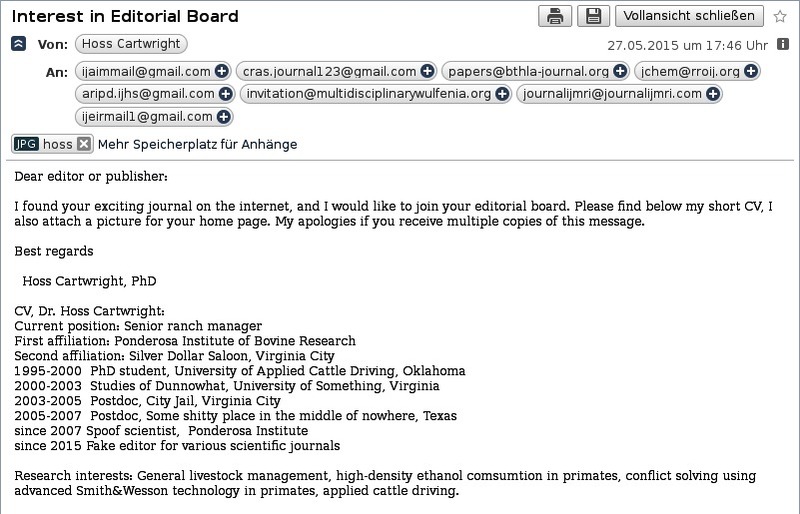 I contacted Prof. Morgenstern and he noted that he had done a similar thing some years back with another OMICS journal. At that time he managed to get the fictional "Peter Uhnemann", a fake person invented by the German satirical magazine Titanic, on board the journal "Molecular Biology." Jonathan Eisen's blog The Tree of Life gives details of this scam of the spammers. If these journals are so careless in putting together their editorial boards, one wonders about the quality of the peer review done for the journals. OMICS had a bit of a spat with the National Institute of Health (lawyer's letter can be read here) and is now forbidden from suggesting that they are listed on PubMed Central or on PubMed. OMICS appears, however, to be purchasing journals that are still listed on the databases, according to ScholarlyOA, in order to get around this. Another attempt to get listed on PubMed Central appears to be to have the authors submit an "author manuscript" to PMC, as NIH-funded researchers are now required to do. When their paper is published, then a link to the OMICS journal article is added. 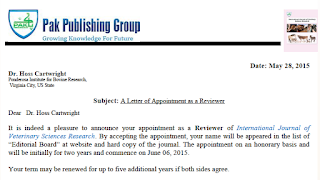 The journal article now also includes a link back to PubMed. 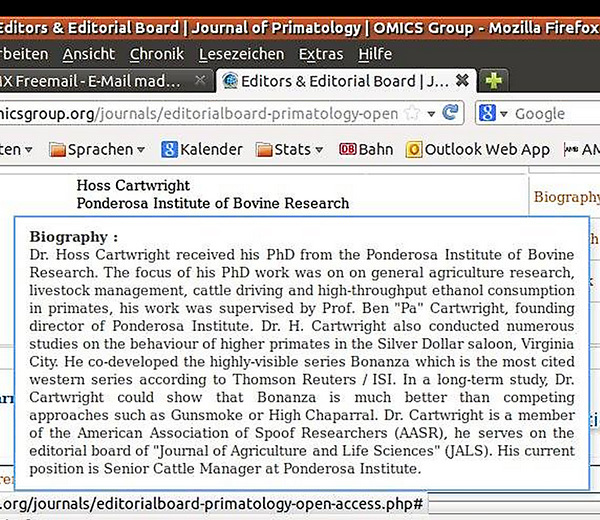 Here is one of many examples: Author manuscript at PubMed Central, put in PMC on 2015-02-23 and then received by OMICS two days later and published 2015-03-21. 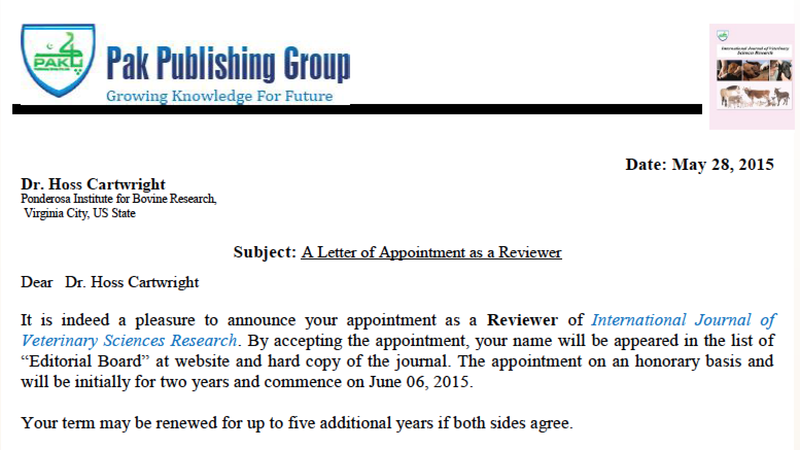 Perhaps it is time to teach people that PubMed is an index and not a mark of quality. One must still read and evaluate the papers. The Swedish news agency TT reported in March 2015 on the number of students caught cheating in the past year, according to the daily newspaper Expressen: 576, an increase of 50 over 2013. This is the number of students who were found guilty of cheating and sentenced to a lock-out from the university for between one week and six months. There are 28 universities and colleges in Sweden, the largest universities (Lund, Stockholm) also had the largest number of cheating students, 62 and 60. With 47,700 and almost 67,000 students enrolled, this number is quite small. These are the cases, however, that were brought before disciplinary boards, so they will have been quite critical cases. The minister of higher education and research points out in the article that cheating rather defeats the point of a higher education: to learn how to do something oneself. A lock-out of even a week can be critical if that week happens to be an exam week. Sweden has a good system for financing students. They get a weekly allowance, a bit they can keep, the rest is a loan. In order to get the financing for the next semester, they have to pass enough courses. If they aren't able to take exams, they don't pass and thus can't get the student loans for the next semester. Do other countries have national numbers on students caught cheating? I know Germany doesn't. I would appreciate pointers to other countries who publish such numbers. 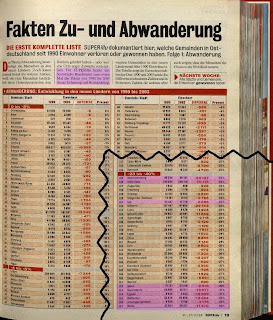 Tagesschau is the nightly news, the Super Illu is a tabloid magazine, not generally an academic source for population data. 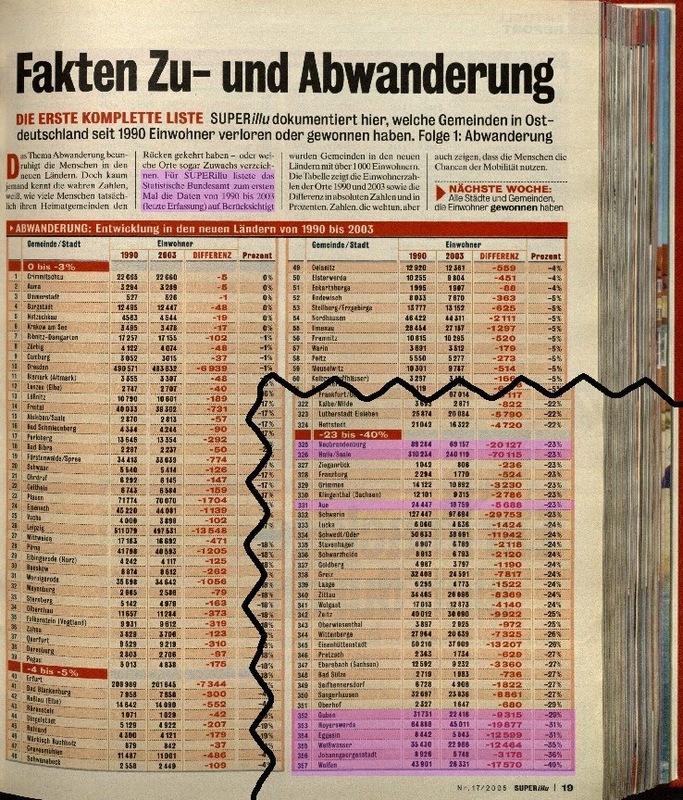 Interestingly, the tabloid itself gives their source for the data: the national statistics board, Statistisches Bundesamt. In January 2013, the TU announced that they were not retracting the doctorate, but requesting that Goldschmidt submit a new, properly referenced version of the thesis. This was rather odd, as authors who reuse texts of others, including the Wikipedia, without referencing them can generally not be assumed to have kept track of which texts they took from where. Goldschmidt was given six months to submit an updated version of the thesis. In August 2013 the press secretary assured me that the new version was submitted and was being examined. During 2014 I bugged the TU a few times, asking if they were making any progress and offering assistance, as VroniPlag Wiki had additional material that was not yet documented. They declined, but were working on it. Jürgen Goldschmidt hatte an der Fakultät VI Planen Bauen Umwelt der TU Berlin die Dissertation „Management des Stadtumbaus unter Berücksichtigung der städtebaulichen Rahmenbedingungen“ im Dezember 2009 verteidigt. Im April 2010 bekam er die Urkunde überreicht, mit der der akademische Grad „Doktor der Ingenieurwissenschaften“ verliehen wird. Im Sommer 2011 wurden Plagiatsvorwürfe öffentlich. Daraufhin gab es ein Verwaltungsverfahren zur Prüfung der Vorwürfe. Herr Goldschmidt erfüllte die von der Universität erteilte Auflage nicht, sodass in Konsequenz ihm der Doktortitel entzogen worden wäre. Am 7. Mai 2015 hat Jürgen Goldschmidt seinen Doktorgrad inklusive seiner Urkunde an die TU Berlin zurückgegeben. [Jürgen Goldschmidt defended the dissertation "..." to Faculty VI Planning Construction Environment of the TU Berlin in November 2009. He was given the certificate in April of 2010 that gave him the degree of "Doctor of Engineering". In the summer of 2011 accusations of plagiarism were made public. This is a new method of resolving a case of plagiarism: faced with extensive evidence that would lead to the degree being rescinded, the person in question returns the degree. It is perhaps legally questionable if a degree that is conferred by a faculty can be returned by the conferee. But that is perhaps moot, as the university has now brought a case to a close that has been open for over 3 1/2 years. Additionally, it was discovered that the second case that was reported to the TU Berlin, Aos, has been similarly resolved as of April 2015.